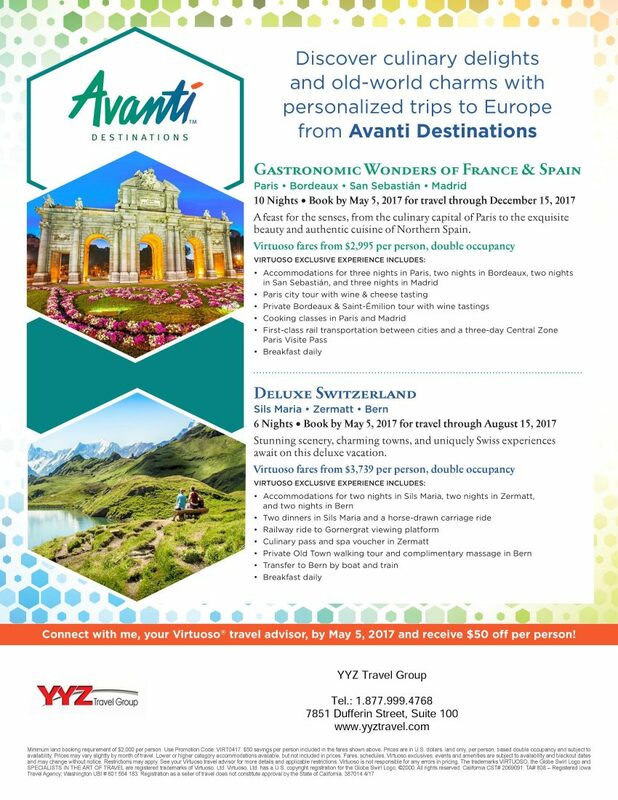 Travel with YYZ Travel Group! Give yourself something to look forward to this year. 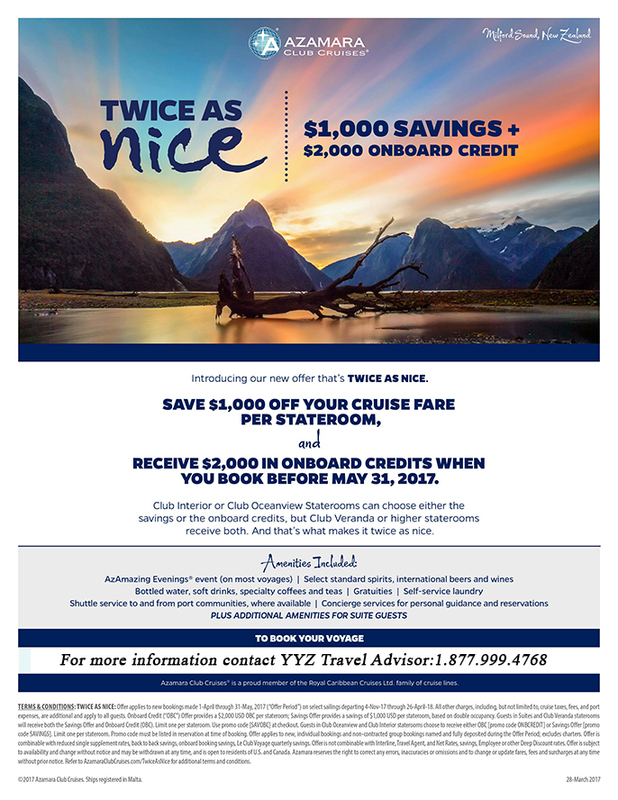 Call a YYZ travel advisor and start planning today. ENDLESS POSSIBILITIES TO EXPLORE NEW WORLDS! Don’t miss a chance to discover new destinations, enjoy summer camps and take pleasure of unspoiled natural beauties. In a country that holds 550 national parks and 15 World Heritage-listed wonders, you will have the time of your life whether you dive the Great Barrier Reef, feast in the dazzling cities of Melbourne and Sydney, or discover unique wildlife in Tasmania. To book your Australian adventure, contact your YYZ travel advisor. 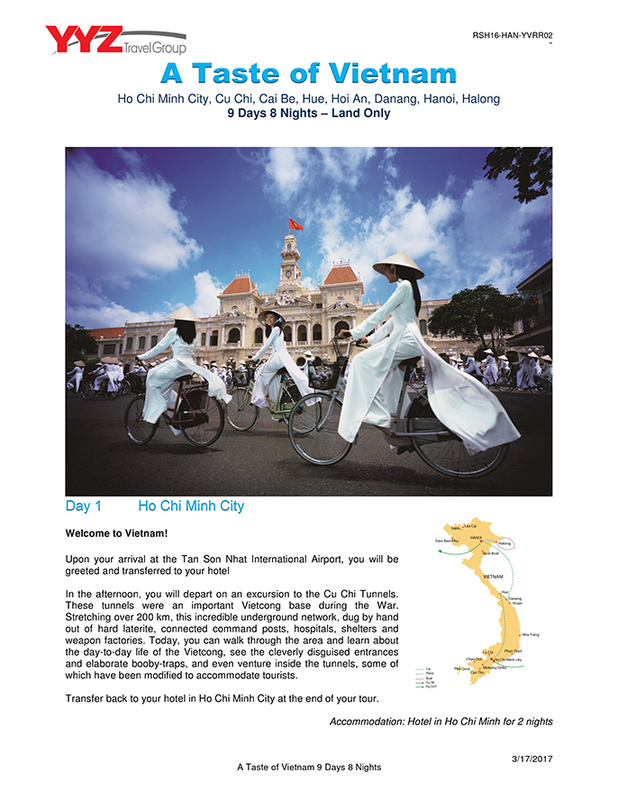 UP to $50 USD ONBOARD CREDIT per Stateroom! Enjoy an amazing experience at sea where ships are beautiful floating resorts that are bigger and brighter, with a lot more open spaces and private balconies. Royal Caribbean ships, onboard experiences, and services are first class and amazing. Join forces with a crew of legendary Marvel Super Heroes during Marvel Day at Sea, a brand-new, day-long event coming to Disney Cruise Line. Available on select sailings from New York and Miami.